It couldn’t get any better, caching, camping and 4Wdriving. 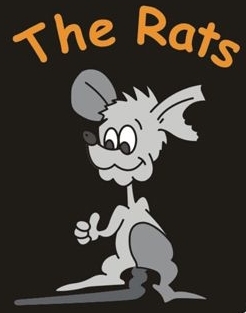 That was what happened last weekend when the Rats hosted an event in the Watagans State Forest (west of Morisset). Between 10-12 vehicles made the trip to the Turpentine Campground, some making an extra long-weekend while most of us only stayed one night. After meeting at the F3 Roadhouse (near Wyong) we made our way up into the mountains where we met up with the rest of the caching clan. After setting up camp and some friendly chat we headed out in search of the local caches. After a few hours driving we’d collected the 4 caches in close proximity to camp. It was then that we had a bit of fun exploring the numerous tracks that head off into the bush. As the sunset, a cozzie fire was started which drew everyone like magnets to steel. We spent the night around the fire, swapping tales, tips and laughs. As Sunday dawned we all slowly packed up, a stiff breeze had picked and after deciding to head north for a few more caches we said goodbye to a few that had opted for an alternate route. We took in the cache at the northern end of the Watagans before dropping off the mountain and heading towards Morisset. It was here we feasted on a few more caches, some which included the caches in the disbanded Morisset mental home…. what a weird place this is!. As it approached lunchtime it was time to bid farewell to all and head for home. Another great 4x4 caching was coming to an end. Thanks to all who made the weekend so much fun.